Articles of Incorporation for Josepha Seletz' business. State of California Corporate Registration for Josepha Seletz' business. Josepha Seletz' abortion clinic name change: Sinai Surgical Center Inc changed to Sinai Surgical Center PC. Josepha Seletz' abortion clinic corporate registration. Policy coverage for abortionist Josepha Seletz. See page 35. Fictitious name permit for Josepha Seletz' abortion clinic. Part 1 -- Pennsylvania medical application documents for Josepha Inez Seletz, MD. Date redacted. 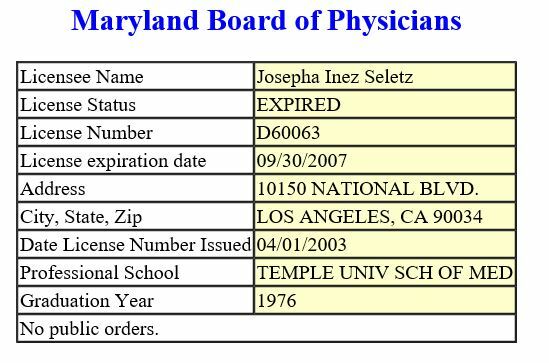 Part 2 -- Pennsylvania medical license application documents for Josepha Inez Seletz, MD. Date illegible/redacted. 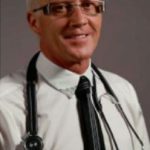 Profile for medical license in Arizona. Malpractice lawsuit against Josepha Seletz. 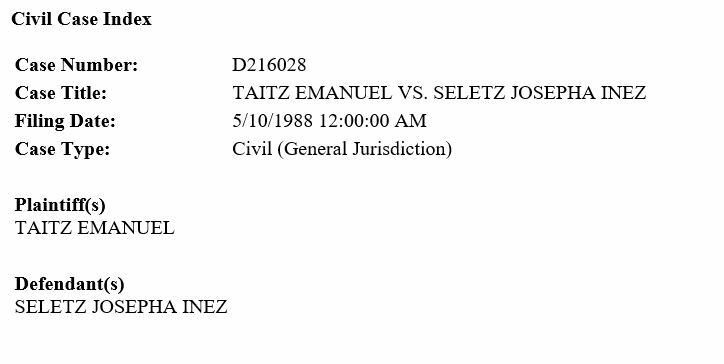 Malpractice lawsuit against defendants including Josepha Seletz. July 2018: 911 calls from Pro-Choice Medical Center abortion clinic, where Josepha Seletz is the abortionist. Abortionist Josepha Seletz sues defendants including Eve Surgical Center (abortion clinic). Search results allegedly do not show an "ambulatory surgery center" license for the Pro-Choice Medical Center (Josepha Seletz' abortion clinic). Small claims lawsuit filed against Josepha Seletz. 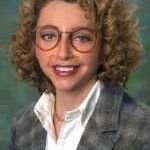 Josepha Seletz, MD, is a defendant. Case summary; Josepha Seletz is a defendant. 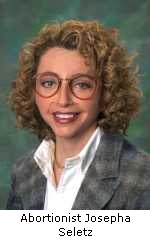 CA corporation 2009 filing - Josepha Seletz, MD, Inc.
CA corporation filing history - Josepha Seletz, MD, Inc.
California Medical Board FICTIOUS NAME PERMITS thru 2011. 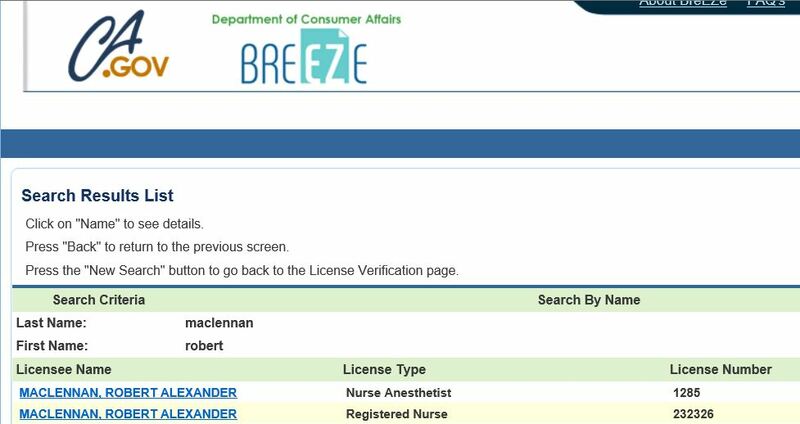 Nurse anesthesist licenses for Robert Alexander Maclennan. 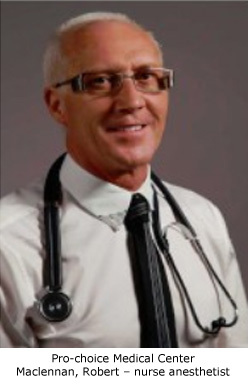 Info from website, with employee names including nurse anesthetist Rob MacLennan. 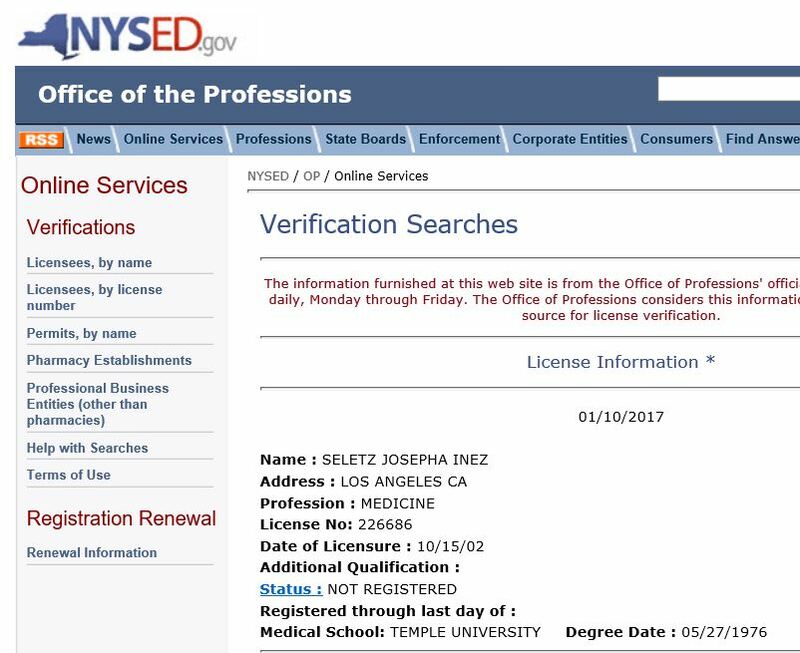 Pro-choice Medical Center -- Josepha Seletz, MD - "Late-term abortion specialist"
Abortion clinic website on May 27, 2018, listing abortionist Josepha Seletz as a "late-term abortionist specialist."